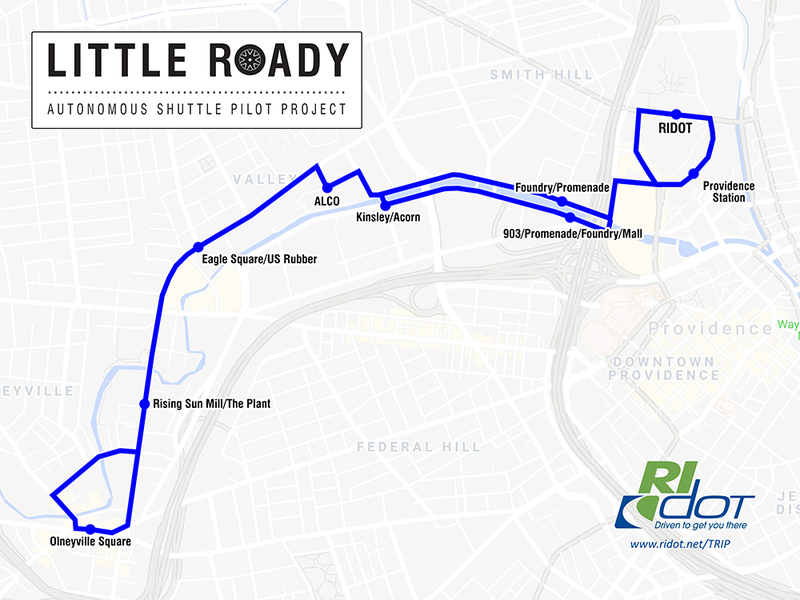 The Little Roady Pilot Project will bring the first self-driving shuttles to Rhode Island. 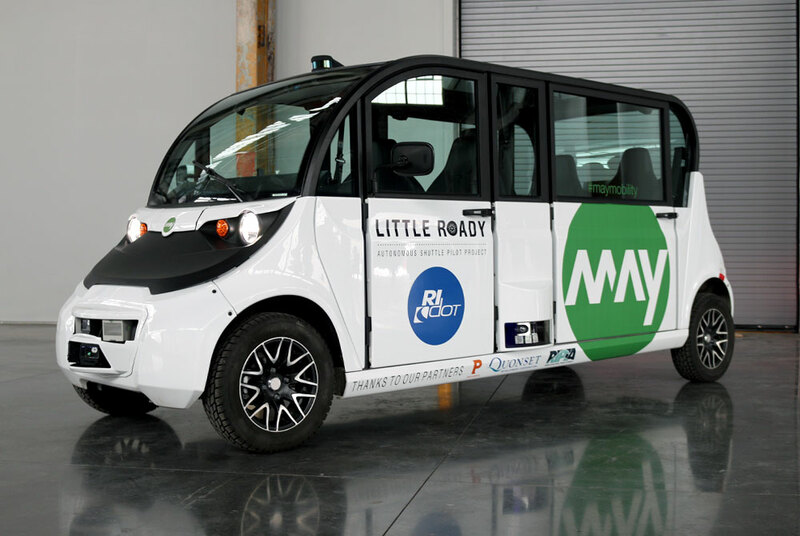 The service, launching in Spring 2019, is composed of a fleet of fully electric vehicles operating on low-speed roadways along the Woonasquatucket River Corridor, which currently lacks transit service. Under the terms of the public-private partnership with May Mobility, Inc., RIDOT will contribute $800,000 for the first year of operation. This includes $300,000 of 100 percent federal research funds through the Federal Highway Administration and a $500,000 grant awarded by the R.I. Attorney General's Office as part of a settlement with Volkswagen. RIDOT's contract with May Mobility includes options to extend the service for an additional two years. The company plans to hire fleet attendants and managers from Rhode Island and will set up a local operations office in Providence.